This past May, SCW President Karissa Kruse attended and served as a panelist along with St. Francis Winery’s president and CEO, Christopher Silva at the Sustainable Foods Institute, the media-oriented counterpart to the Monterey Bay Aquarium’s consumer Cooking for Solutions program. 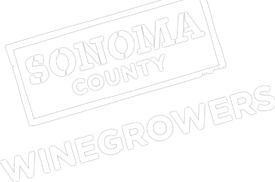 Kruse was invited to speak on behalf of Sonoma County winegrowers and farmers towards our efforts and progress of 100 % Sustainable by 2019. Karissa Kruse, the president of Sonoma County Winegrowers, and Chrisopher Silva, president and CEO of St Francis Winery in Sonoma Valley, discussed their effort to make the county’s grapegrowers 100 percent sustainable, a program similar to that adopted in Napa Valley Vintners.